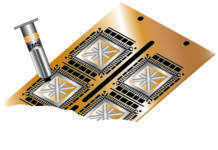 Alpha Assembly Solutions, one of the most credited company in the world for the production of electronic soldering and bonding materials, is introducing its new lead-free, no clean solder paste technologies. 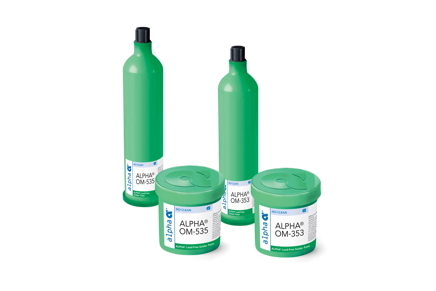 ALPHA OM-353 is an ultra-fine feature print and air reflow-capable solder paste that is ideal for assemblies sensitive to component warpage or processes that require cleaning. 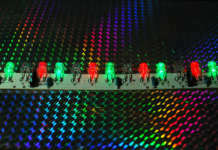 It has been tested to give excellent printing performance down to 180 µm pad size. ALPHA OM-535 is a low temperature paste with excellent drop shock resistance and electrical reliability for low temperature reflow applications. 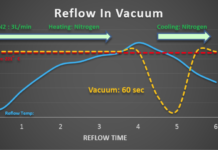 It produces excellent solder joint and flux residue cosmetics, even when using long/high thermal soaking.